TUCSON, AZ (KOLD News 13) - A Tucson bicyclist was injured in a collision with a deer recently on Mt. Lemmon and it was all caught on video. 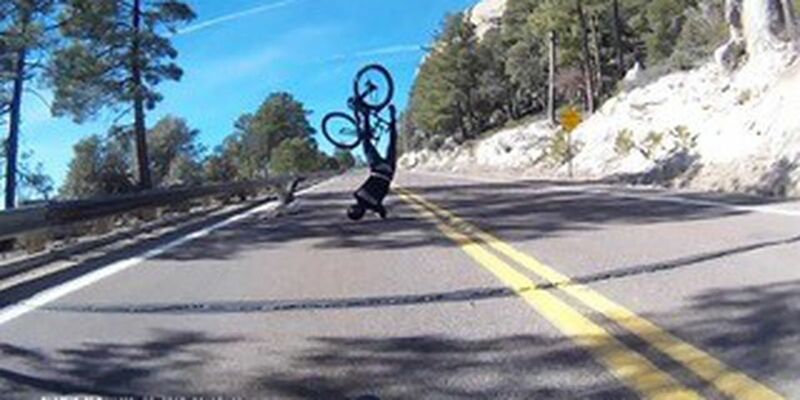 The video, posted to YouTube on Tuesday, Jan. 22, shows the moment the deer tried to cross the road as Reed Soehnel was riding down Catalina Highway near mile marker 17. The riders Soehnel and Bryan Reid, on whose bike the camera was mounted, consider themselves lucky that it wasn’t much worse, even though Soehnel suffered a broken bone in his foot. You can see more of their videos on their YouTube channel. There is no word on the condition of the deer, however, in the video you can see it run back across the road and into the forest.